April Sale: Get 10% off save the dates! Offer ends May 1st. Create beautiful save the date cards. Make a Collage Upload unlimited images and text to your save the date cards. Drag, zoom, and rotate your images to get the perfect design. Add Your Own Text Add custom text to your save the date cards in a wide range of styles and colors. Use a Template Select a professional template to use when making your save the date cards. Amy A. in Chicago IL said... Great job - did a really professional packing job and the save the date cards showed up looking great. Yancey in Williamsburg VA said... I ordered a poster and some save the date cards for my wedding. Couldn't be happier. Victoria A. in Riverbank, CA said... Just ordered our save the dates on Monday, and we received them on Wednesday evening. No kidding. The quality of the cardstock and image are great. Will be telling everyone. R. Joseph in Dayton OH said... I'll be using Openprints for all my printing needs going forward. Flawless print job on my save the date cards and my canvas prints. C. Sears in Ithaca NY said... It took me less than five minutes to make amazing save the date cards at Openprints and they got here like 3 days later. Tough to beat. W. Castillo in Dover DE said... Love my custom save the dates I got printed at Openprints! So nice. Tenisha A. in NC said... I had a lot of questions about making my save the date cards and OpenPrints helped walk me through it. They came out great! Ryan C. in Philadelphia PA said... After I ordered the save the dates I was expecting to wait much longer untiil they got here. My wife was estatic at how nice they turned out. What photo quality do I need to make save the date cards? When will my save the date cards arrive? 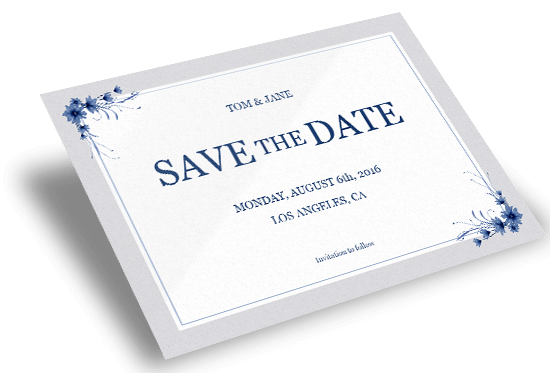 Save the date cards typically take 2-3 business days to be produced and shipped. The shipping service selected will determine the delivery date. 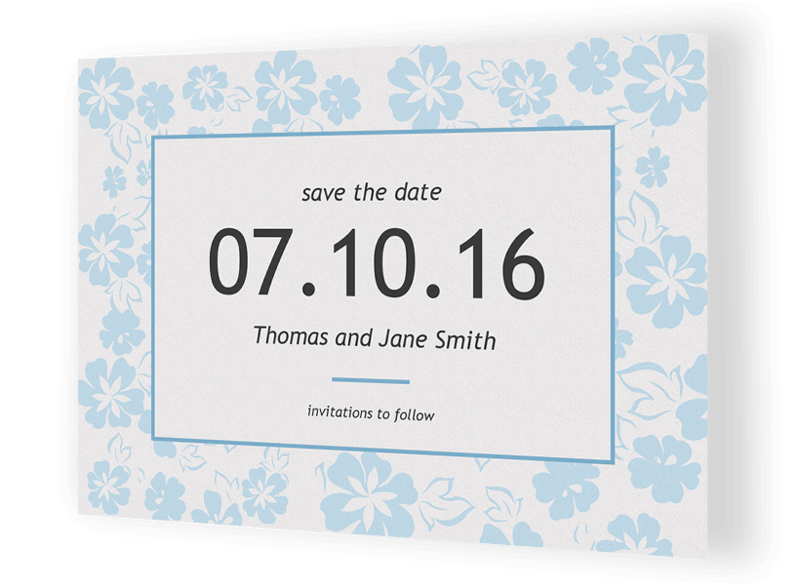 Why make your save the date cards with OpenPrints?